Once again, the Sunset Sunday Series created an annual calendar. This year, the 2016 Sunset Calendar takes a different approach showcasing the Magic of Unexpected Sunsets. It not only inspires us, but also reminds us the sunset is amazing, magical each day and from everywhere. Sunset moments often occur at unexpected times and in unexpected locations. Yes, we all have our bucket list sunsets, and last year’s Get the Sunset Mindset identified a few such locations including placing Santorini on the cover. But this year, no destination or travel moment expected to produce an amazing sunset destination, yet it did. This year the calendar reminds us that the sunset is universal and occurs everywhere and every day and there is SO much beauty in each and every one. There is a magic in the moment, a magic in unexpected sunsets. The 12-Month Sunset Sunday Calendar – the Magic of Unexpected Sunsets includes sunset images from America, Europe, Africa and Latin America. I selected 12 images in the Sunset Sunday Series collection and coupled each sunset image with a highlight on why it was unexpected and also include the specific page link to read up more on the destinaiton and the specific reason for the Unexpected Magic. This positive and inspiring calendar will not only have you dreaming about exotic holiday sunsets, but watching and appreciating the sunset every day from everywhere. 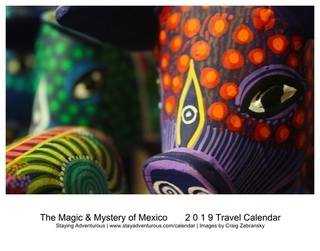 This calendar makes a perfect holiday gift for business colleagues, co-workers, clients, Secret Santa exchanges, family, friends, and also for yourself. 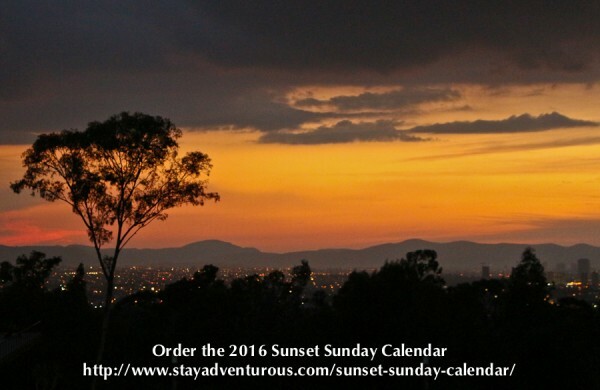 Order the the 2016 Sunset Sunday Calendar and experience the Magic in Unexpected Sunsets. Than you all for continued support and appreciation for the Sunset Sunday Series. This year’s calendar is the third, for more details on prior year’s calendar, click 2014 2015.